Despite injury problems, Panathinaikos lived up to expectations by ending 2005 with the best record in the Euroleague so far after a solid 85-69 home win over Ulker on Wednesday in Athens. Panathinaikos is alone in first place of Group C with a 7-1 record, while Ulker's Top 16 hopes are in doubt after it fell to 2-6. Ulker was without Euroleague leading rebounder Mirsad Turkcan, while Panathinaikos got back one of its previously injured big men, Dejan Tomasevic, who helped unlock the offense when he entered in the second quarter. Jaka Lakovic led the winners with 14 points, all in the first half. Vlado Scepanovic added 13 points, Nikos Hatzivrettas 12 and Kostas Tsartsaris 10 for Panathinaikos. Ibrahim Kutluay led all scorers with 25 points for Ulker, Vrbica Stefanov had 15, Marcius Haislip added 11 and 8 rebounds while Jeff Trepganier scored 10 points for the guests. Panathinaikos used a 11-4 opening run to keep a 20-19 edge after 10 minutes, while Lakovic and Tomasevic took over the second quarter to put the hosts ahead by 46-33 at halftime. Tsartsaris and Hatzivrettas pushed the margin to 64-50 after 30 minutes, enough to control the game until the final buzzer. After 6,000 fans gave a standing ovation to welcome back Kutluay and Panathinaikos team president Paul Giannakopoulos offered him flowers, the Greens started the game with their usual energetic defensive spirit. They scored inside, outside and from the line to lead 7-0 before Kutluay got Ulker started with a three-pointer. The Greens kept the pressure up on defense and took advantage of most opportunities to score until Batiste hit a three-pointer for the first double-digit margin, 17-7, after 6 minutes. Jeff Trepagnier answered the same way for the visitors as Panathinaikos coach Zeljko Obradovic rotated in nine players already and at the same time that Ulker boss Ergin Ataman, without Euroleague top rebounder Mirsad Turkcan, due to an injury, changed his defense from individual to zone. The Ulker zone denied Panathinaikos and created fastbreak opportunities that sparked a 0-9 run in just a minute, including 4 points each by Kutluay and Stefanov, cutting the difference to 20-19 after one quarter. Making his first appearance after three games injured, center Dejan Tomasevic helped Panathinaikos to solve its offensive problem, not only scoring, but assisting open men on the perimeter. His passing and Lakovic scoring from the arc fueled a 15-4 run against the Ulker zone that meant a 35-23 Panathinaikos edge after 15 minutes. Lakovic reached 10 points himself as Kutluay made it to 11 for Ulker. Panathinaikos stayed in a three-guard lineup, and when Trepagnier sank a big triple for Ulker to make it 37-30, he immediately committed his third personal foul. Soon, Dimitris Diamantidis opened the gap to 11 points, 41-30, after 18 minutes and Panathinaikos didn't allow Ulker to get closer than 46-33 at the break. Tsartsaris opened the third quarter with a three-point shot to make it 49-33, as the visitors kept playing a zone defense. Kutluay hit also from the arc, 51-40, but Panathinaikos didn't allow Ulker to be a real threat. 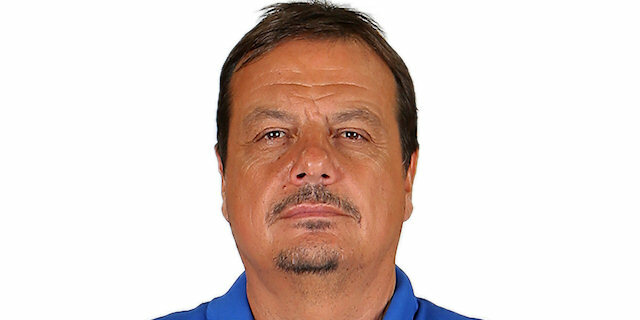 Ulker coach Ergin Ataman tried a zone press now, but Hatzivrettas drilled a triple of his own to widen the gap to 57-43, after 27 minutes. Hatzivrettas then repeated it from the arc, making it 60-45. Diamantidis came up big after tht to create fascinating plays and push Panathinaikos to a 14-point edge, 64-50, after 30 minutes. Diamantidis and Hatzivrettas began the fourth period with an outstanding alley-hoop and Dusan Sakota finished a fastbreak to give Panathinaikos a 18-point margin, 68-50. With the local fanscheering and enjoying the spectacle, Ulker became a part of the show. Vrbica Stefanov bagged 5 consecutive points as both coaches tried small lineups with four perimeter players, with Scepanovic and Omer Onan at the point forward positions, but this didn't affect the game. Vasilis Spanoulis hit from the arc to make it 77-62, after which Kutluay did the same and the crowd offered him warm applause. That was about all Ulker could take home after Panathinaikos cruised to the best record of the Euroleague regular season at the end of 2005. "It was a very difficult game and became harder, because we missed Turkcan and we were forced to play with Savas and Pasalic in the inside game. They are not ready to play at this level and because of this we tried to play the game from outside, but it didn't last for the whole game. Kutluay started well and thanks to the zone defense we managed to control the game, but in the second period Panathinaikos found the solutions. Dejan Tomasevic read the match well, he moved the ball and broke our zone defense. Anyway, Panathinaikos deserved to win, because they are a much better team than us."